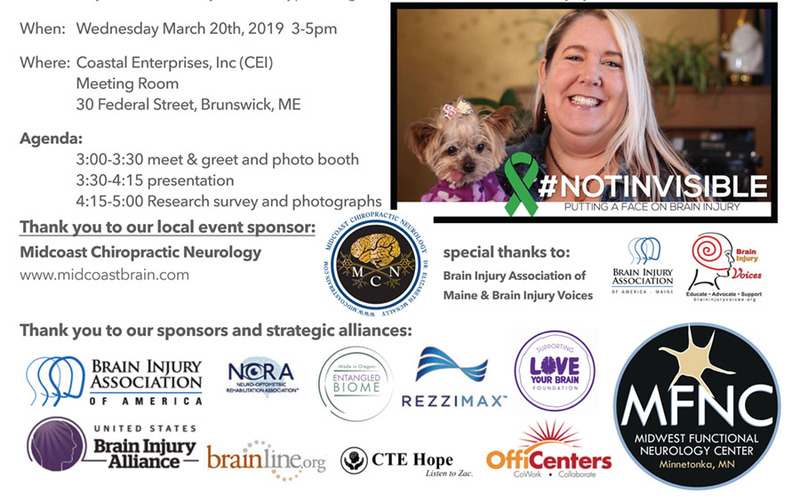 Brain Injury Awareness Campaign Event – MidCoast, ME Join Amy Zellmer for an evening of inspiration and awareness. Amy is launching a two-year, international awareness campaign through the use of photography to visually show that while brain injury may be an invisible injury — the survivors are not! She is raising awareness of this invisible injury that affects over 3.5 million American’s each year in an effort to help people find resources sooner. During this event you will hear Amy’s story, learn how to share your own story, and also how to be a part of the campaign through aggressive social media sharing. All survivors are invited to take part in a research survey that Amy has created in partnership with CTE Hope with the objective: To identify trends in types, diagnosis, and resources of brain injury.